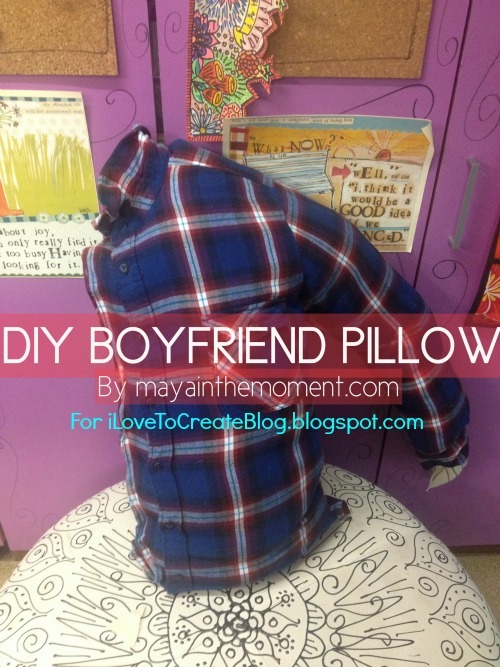 Here's my take on the Boyfriend Pillow! Please watch my video and like or give it a comment! Thanks! 1. Set your flannel shirt out flat on a table. For a bigger pillow, make sure to get an XXL shirt! Button up the shirt. 2. Draw a chalk line next to the buttons, then cut all along that line. 3. Fold in the raw edges, use Aleene's Fabric Fusion Tape along the edges and fold over to seal the hem. 4. Add a thick line of Fabric Fusion along the edge and press the two sides in place and use clothespins to hold in place until the glue dries. Also glue the neck area and in between the buttons. 5. Stuff your pillow! Add a little less in the arm so you can bend it around you when you sleep! 5. Glue the bottom hem with Fabric Fusion. Optional: Add a hand made of felt or fabric! 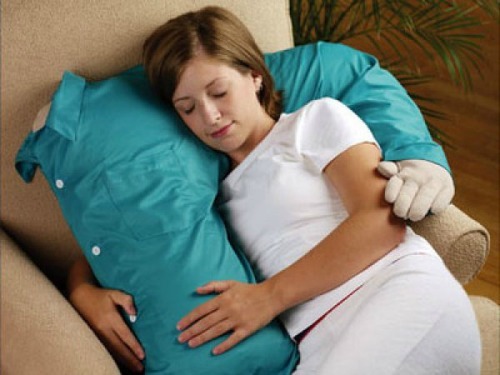 I think this is a fun pillow. I LOVE your singing and song. Great job! Beautiful song...loved it. I checked out your video cause I have a friend that just recently lost her husband. She's having a hard time adjusting being alone and I thought a pillow made from her hubby's favorite shirt might go a long way in helping her. Thanks for making the video it has sure helped!!! You know these may also be really good for children with separation anxiety to be able to sleep better. I know I let me kids sleep in bed with me when they were toddlers more than I should have so it was a challenge getting them to sleep alone. This might have helped sleep easier in their own bed. This blog is absolutely useful; I love the piece of informative writing about How to Get a Boyfriend. So creative, Love this post. If your budget is low and your living room need a new look, then sofa cover online shopping is the best option. By using appropriate sofa covers you can change the décor of your living space. If you have kids in home, sofa sets getting worn out much faster.